This is why aluminum is found in such a wide range of applications from cars and boats to construction and household items. 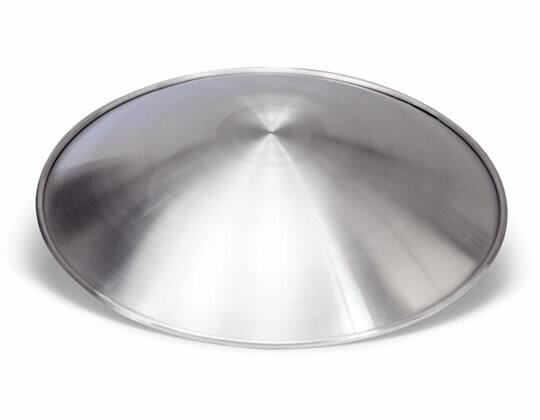 44″ Diameter Shallow Aluminum Bowl – Acme Metal Spinning Inc. There are also a large number of ways in which aluminum can be manufactured in order to produce products. One of the lesser known ways is a process called metal spinning and spun aluminum is made from this process which provides products such as scuba tanks or CO2 cartridges. The overall process of metal spinning is a relatively easy concept to grasp as the metal typically starts in a disc form and then put into a lathe. From here a shaping tool is used to create the look of the final product. This tool is pushed up against the disc while the other side of the disc is being pushed into the tool, this forces the metal to form a shape around the tool. This action is what creates the final product. In order for this process to be effective, the metal must have high ductility meaning that it must be able to be reshaped when a pulling stress is placed upon it. And aluminum is one of the most common metals for this type of process as it has a high ductility and as mentioned earlier is an abundant and advantageous metal. 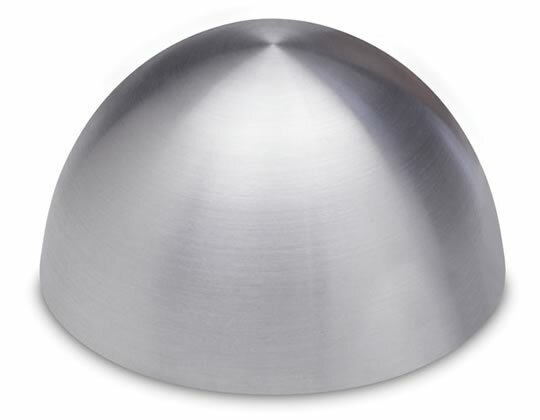 7 Inch Diameter Aluminum Dome – Acme Metal Spinning Inc. The metal spinning process itself is also a pretty inexpensive process, especially when comparing it to other methods of metalworking as it can be performed pretty quickly. In addition, any design changes can be easily and inexpensively made as well. Spun aluminum is often used when creating prototypes for this very reason. For any further questions on metal spinning or on spun aluminum specifically, we encourage you to seek out a trusted and experienced spun aluminum manufacturer who will be able to diagnose your application and find the best possible solution based on your unique requirements and needs. Spun Aluminum There are a wide range of materials in the manufacturing universe, and aluminum is perhaps one of the more popular materials. This is due to the metals advantageous physical properties as well as it’s overall prevalence in the environment which keeps costs down.